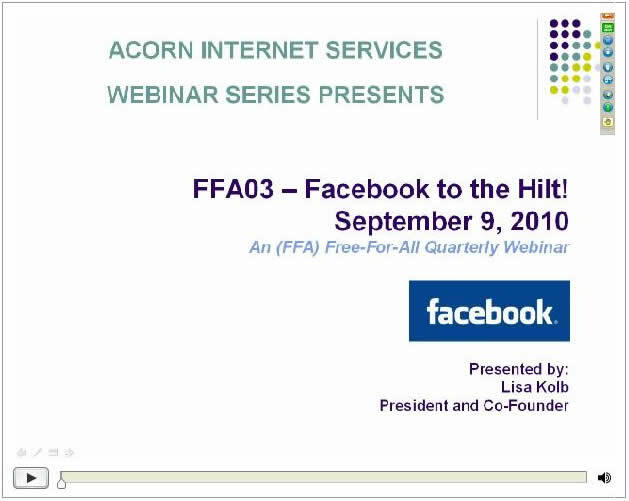 Today's 3rd Q FFA: Facebook to the Hilt Webinar declared a Huge Success! 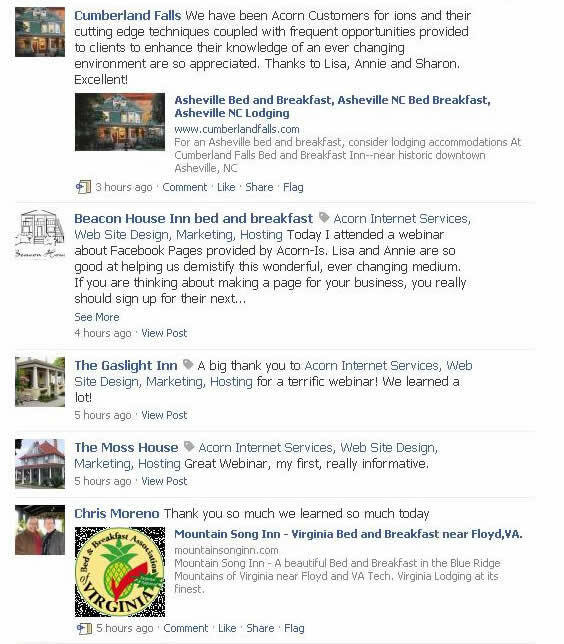 Today’s 3rd Q FFA: Facebook to the Hilt Webinar declared a Huge Success! See what our attendees shared (after they learned how on the Webinar) on our Acorn IS Facebook Wall! Today’s FFA Webinar went over all that is new in the world of Facebook. For those who were unable to attend, you may watch this recorded FFA03 Webinar at https://acorn-is.com/ffa or Click the Image below. What is the Acorn Internet Services, Inc. FFA (Free-For-All) Program? 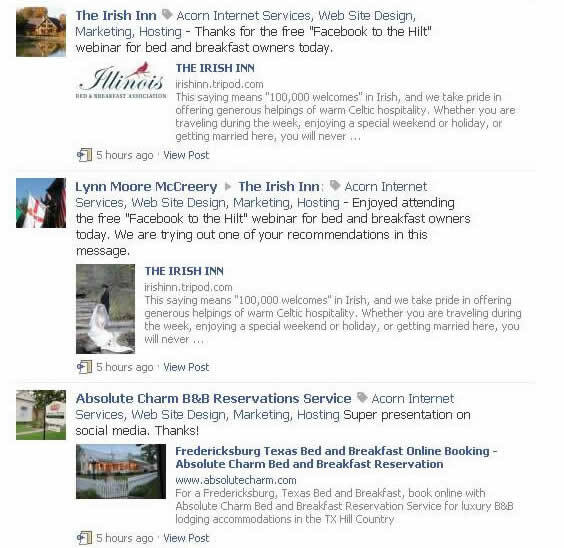 Acorn Internet Services, Inc. provides FFA Industry Webinars one time a quarter. 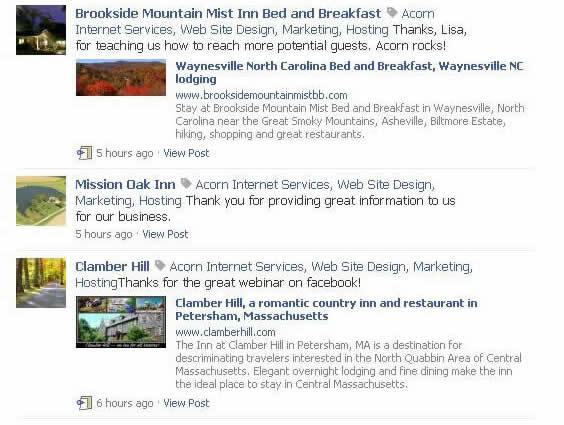 These “Free For All” Industry Webinars are open to Any and All innkeepers and small business owners interested in attending. This service is offered complimentary and is FREE to all attendees. This entry was posted in acorn university by admin. Bookmark the permalink.